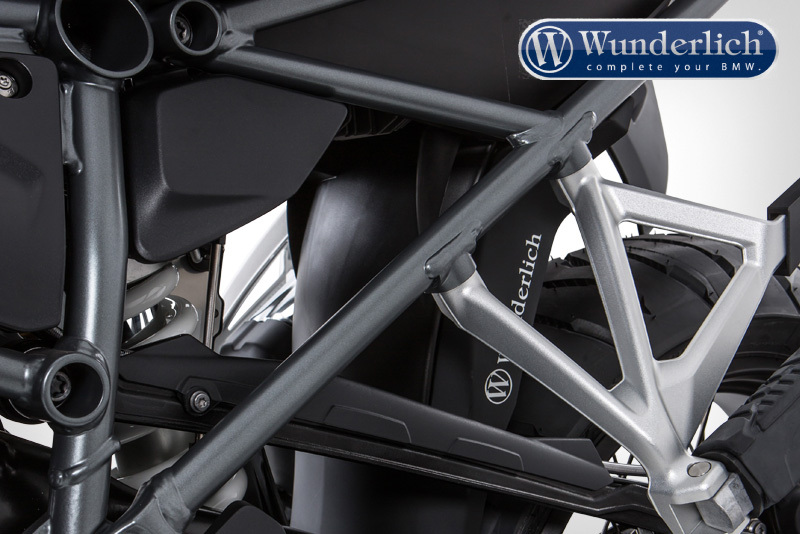 This splash guard protects the shock, which is severely enough tested in use anyway, along with shock mounts, swing arm, collector pipes and rear of the gearbox. The amount of water whipped up onto the pillion passenger’s feet/lower legs is permanently reduced. 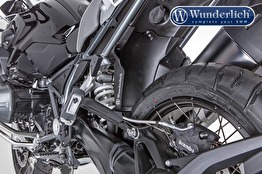 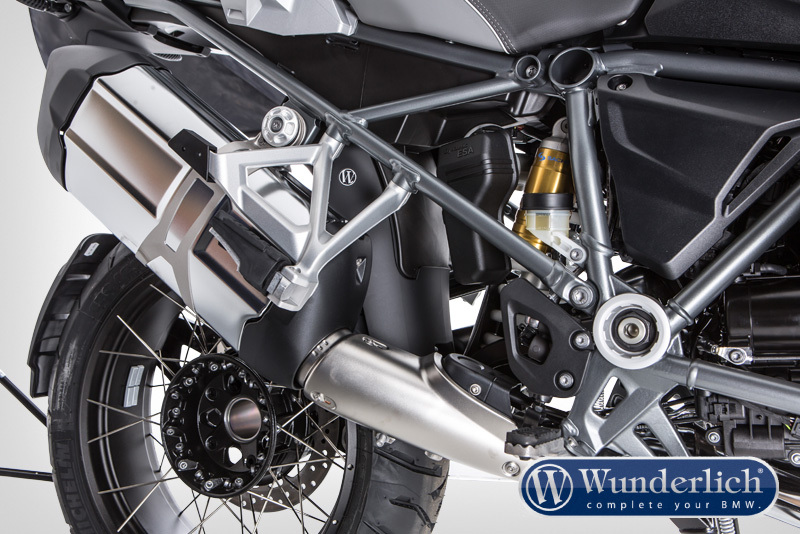 Seamless transition from the swing arm’s intricately constructed retaining fixture to high-quality protection in the form of fibre-reinforced ABS plastic. 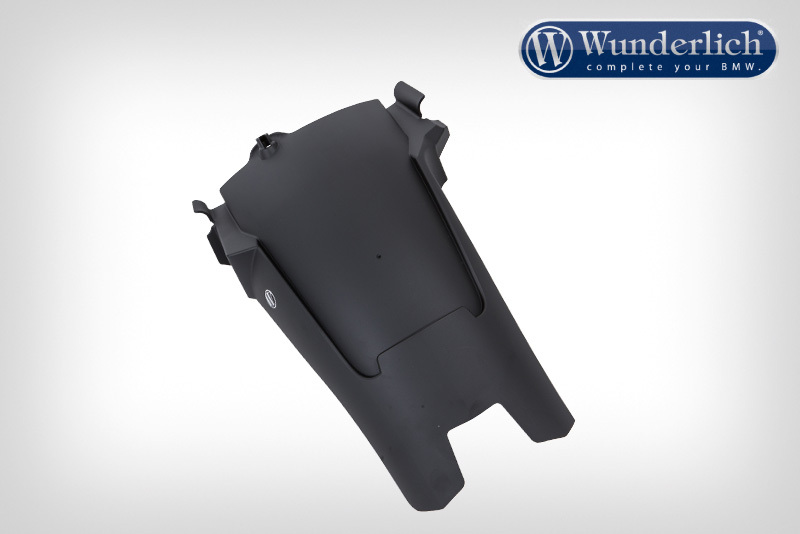 Easy and secure mounting.